The Texas Tech men’s basketball game played in the NCAA title game last night, opposing a similarly defensively minded the University of Virginia eager to reclaim their reputation after being the first top-seeded team to lose to a 16 seed last year. 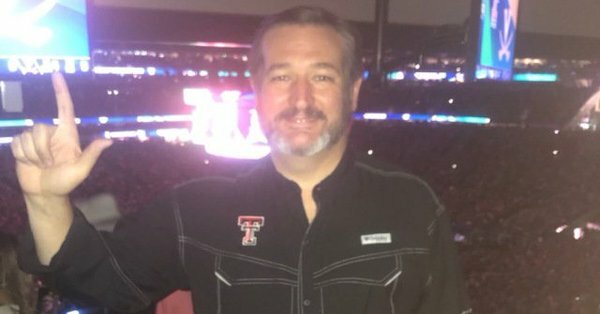 Senator Ted Cruz (R-TX) was in attendance at the U.S. Bank stadium in Minneapolis in support of the Lubbock-based team but ultimately saw his Red Raider team lose in a thrilling OT game. Cruz posted a photo on Twitter of his attendance, and because the Internet is what it is, many immediately blamed Texas Tech heartbreaking loss on the attendance of Senator Cruz.